What If We Believed That No Lives Mattered Less Than Other Lives? 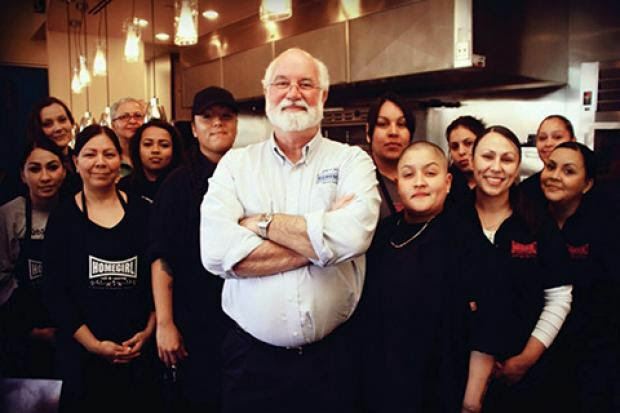 Homeboy Industries provides hope, training, and support to formerly gang-involved and previously incarcerated men and women allowing them to redirect their lives and become contributing members of our community. Each year over 10,000 former gang members from across Los Angeles come through Homeboy Industries’ doors in an effort to make a positive change. They are welcomed into a community of mutual kinship [and] love...Full-time employment is offered for more than 200 men and women at a time through an 18-month program that helps them re-identify who they are in the world, offers job training so they can move on from Homeboy Industries and become contributing members of the community - knowing they count!"